The U.S. Navy commissioned USS Texas on March 12, 1914. She was the most powerful weapon in the world, a complex product of an industrial nation emerging as a force in global events. In 1916, USS Texas became the first U.S. battleship to mount anti-aircraft guns. She was also the first to control gunfire with directors and range-keepers. These early computers increased firing accuracy. In World War I, USS Texas joined the 6th Battle Squadron of the British Grand Fleet early in 1918. Her duties included laying a North Sea mine barrage, responding to German High Seas Fleet maneuvers, and helping prevent enemy naval forces from cutting off Allied supply lines. Late in 1918, she escorted the German Fleet to its surrender anchorage. In 1925, the Navy opted to modernize USS Texas instead of scrapping her. This meant converting the ship to run on fuel oil instead of coal. Tripod masts and a single stack replaced the ship’s cage masts and two smoke stacks. Torpedo blisters added another layer of protection to the ship’s waterline. USS Texas received one of the first radars in the U.S. Navy in 1939. With new anti-aircraft guns, fire control and communication equipment, the ship remained an aging but powerful asset in the U.S. naval fleet. USS Texas became flagship of the U.S. Atlantic Fleet before World War II. She had a close call in 1941 while on “Neutrality Patrol.” German Submarine U-203 had the ship in its sights and asked permission to fire. Adolf Hitler eventually denied permission to engage the ship, or any other U.S. ship. During World War II, USS Texas fired on Nazi defenses in Normandy on D-Day, June 6, 1944. Shortly afterward, German coastal defense artillery near Cherbourg hit the ship twice. The first shell exploded, injuring 12 and killing one. This was the only combat fatality ever aboard USS Texas. The second shell hit the ship, but did not explode. The Navy deactivated this “lucky shell” and returned it to the ship as a good luck charm. After repairs, the battleship shelled Nazi positions in Southern France before transferring to the Pacific. There she lent gunfire support and anti-aircraft fire to the landings on Iwo Jima and Okinawa. After Japan’s surrender, USS Texas carried soldiers stationed across the Pacific home from war. When she completed her final mission, the state of Texas acquired the ship. 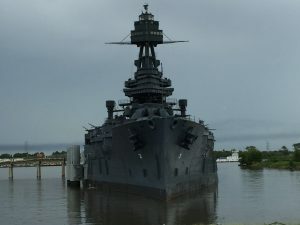 On April 21, 1948, Battleship Texas was decommissioned, and became a memorial ship. 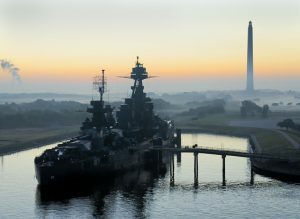 Today, Battleship Texas is a floating museum and the last remaining U.S. battleship of her kind. 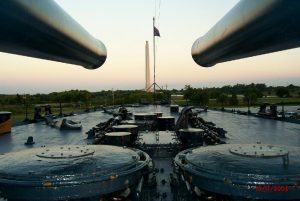 Of the eight American battleships open for public display, she is the only one that served in both World Wars and stands as a memorial to the bravery and sacrifice of the servicemen who fought in both World Wars. The battleship is both a National Historic Landmark and a National Mechanical Engineering Landmark. Ensuring her future will require a concerted effort from Texas citizens and businesses. 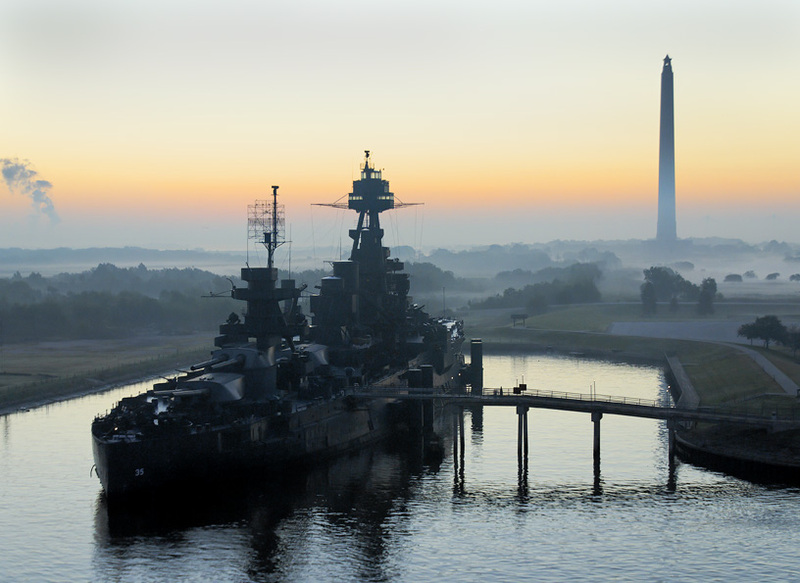 Luck has gotten her this far, but now it’s up to citizens to save Battleship Texas. 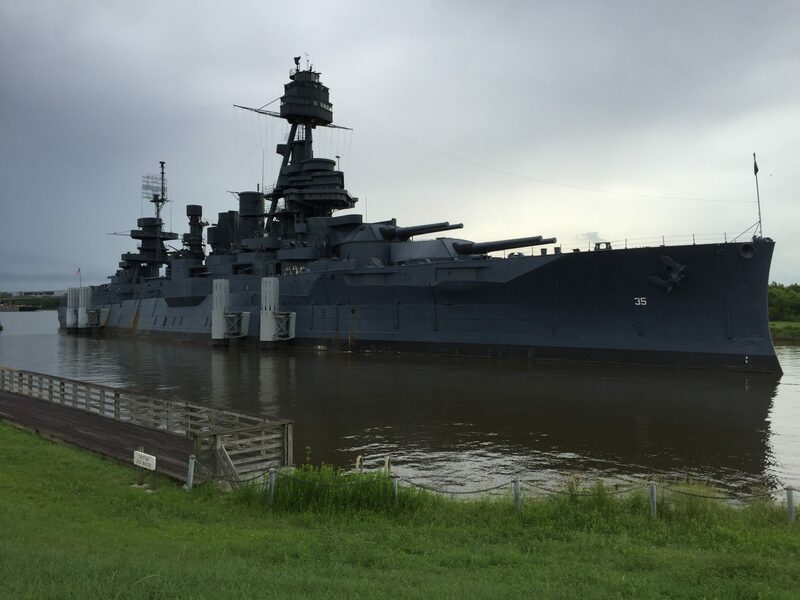 On June 14, 2012, T&T Marine Salvage was contacted and provided an in-water survey and made temporary hull repairs in response to uncontrolled flooding onboard the USS Texas. On June 18, 2012, T&T was again requested to provide additional commercial diving, marine salvage and pollution response services to include continued underwater hull damage surveys, internal tank entries with commercial divers, dewatering of flooded tanks, opening of hatches for inspection, environmental response operations, and additional temporary repairs of the damaged hull. To support these expanded operations, T&T Marine Salvage also provided a Salvage Master, Project Manager and Safety Officer, as needed, throughout the duration of the project. Salvage services included, but were not limited to, submersible hydraulic pumping operations, temporary hull repairs, safety officer oversight, and naval architectural services. 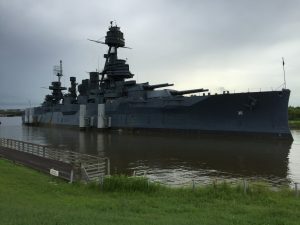 After nearly two months the T&T and USS Texas Crews sealed as many leaks as possible and dewatered the spaces using portable hydraulic pumps. The salvage crew accessed a large number of void spaces to determine if they had been affected including the blisters which had been installed in 1925 to protect the hull against torpedoes. A plan was developed to place pumps onboard the USS Texas that would remain after the salvage crew was demobilized. T&T installed several pumps in strategic locations as a precaution for further water ingress. The pumps included two Hydra-Tech portable hydraulic submersible pump systems that were placed on board in case of an emergency. These systems were chosen due to their lightweight and ease of installation in various tanks as needed. The S3TC portable three inch pump and HT11DXR portable hydraulic power unit have been used by T&T for many years on smaller salvage projects. The proven reliability and durability of these systems were one of the reasons they were chosen for this project. To lea rn more about the Battleship Texas please visit http://tpwd.texas.gov/state-parks/battleship-texas. For an interesting video of the structural repairs and dry berth project please go to https://www.youtube.com/watch?v=OYJwhCyPUls. To learn more about T & T Marine Salvage and their impressive operations and capabilities, check out their website at www.teichmangroup.com. To learn more about Hydra-Tech Pumps and their hydraulically driven submersible pumps and hydraulic power units, please visit their website at www.hydra-tech.com. We appreciate the significant help on this piece provided by Kevin Teichman of T & T Marine Salvage and the Texas Parks & Wildlife / Battleship Texas Historical Site.